A cycling group has launched a bid to block access to bus lanes for motorcycles. 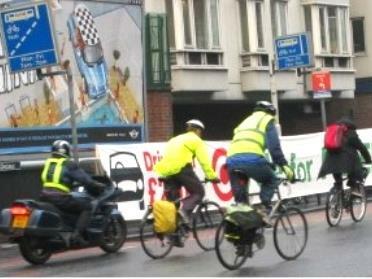 The London Cycling Campaign claims it will lead to more pedestrian and cyclist casualties. The group has launched a petition asking London Mayor Boris Johnson to reconsider his decision to let us use bus lanes in the capital – a move likely to be copied across the UK. Tom Bogdanowicz, LCC’s campaigns manager, said: “Providing new high speed channels for motorcycles along major roads will inevitably increase motorbike use.